July | 2008 | NICE! 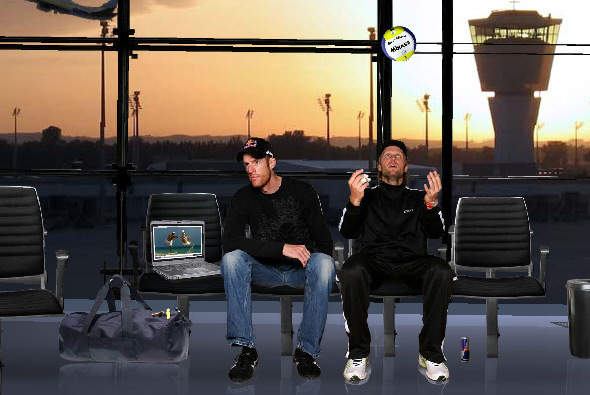 Very interesting site for the German beach volleyball team. I’ve selected this because of the mechanism used to explore each section of the site. Each section has its own 3D scene, using your mouse to move left to right the movement causes the camera to move and pan along a path. This all provides a very fluid and intuitive navigation system that looks and feels great – with the camera floating through the scene it gives a really interesting and enjoyable way of exploring the site. 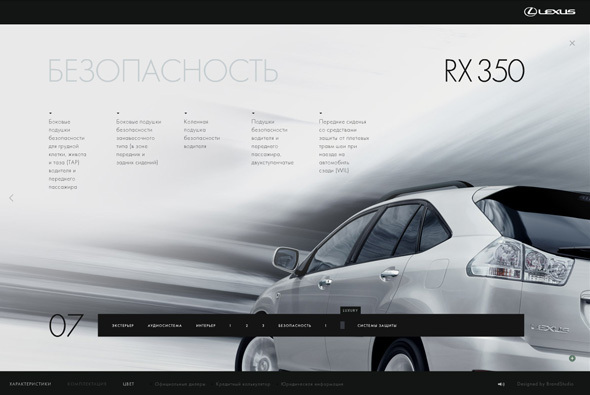 Russian website for the Lexus RX 350. Working on the premise of not clicking, you interact with all sections of the site just by mousing over elements of the site. Initially a bit clunky but you get used to it, but it is an interesting approach that works well. The site looks great, with loads of really effective transitions and animations, and many nice touches. 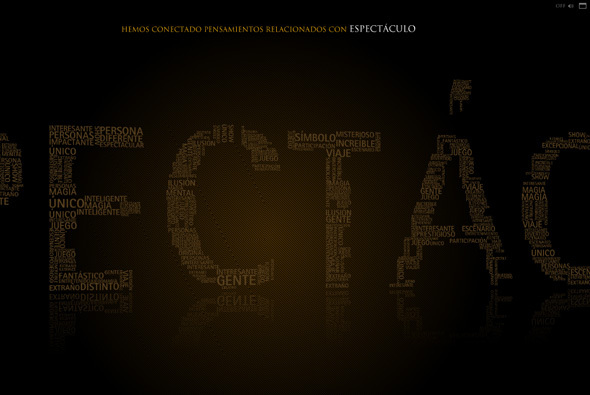 Some sections are done in a quasi 3D paralax style which, again, looks great and works well – nice site. 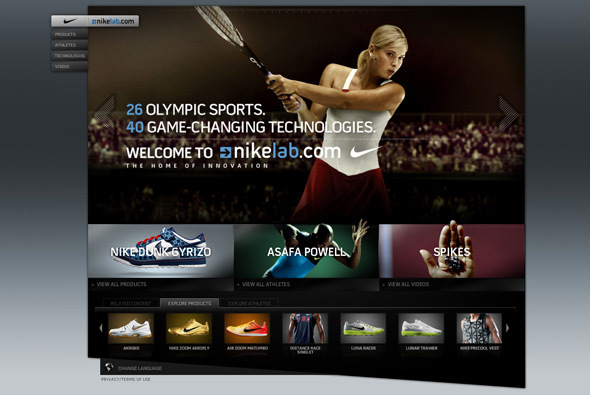 Nike’s site to promote their products for the olympics. This is a great example of good slick website design, lots of great touches and rollovers/animations. Full Flash site, with many sections, it is functional, easy to use, but with the addition of looking great and providing a good user experience – great attention to detail. Another nice campaign site from Uniqlo. A series of slow motion videos with people dancing and moving, shown from various angles, play for short periods of time and change position on the site over time. There is a simple menu with links to the clothing, and thats it! I like the way the videos are in circles and the progress is displayed around this circle. Another nice minimal approach, nicely done, and strangely compelling to watch. Fantastic website for singer/songwriter Julian Velard. You are free to explore his mind and play puzzles, reveal music and experience his world. Incredibly addictive you want to explore every area, and discover all the scenes, it draws you in and of course the background music is his own. Great way of keeping the audience captive and providing an enjoyable way of promoting yourself. I played on this for over half an hour and loved it, really well designed and executed was a joy to play with. Crafted by the amazing WEFAIL.